Western Bulldogs AFLW forward Katie Brennan has informed the Club of her wish to continue her career with another team. 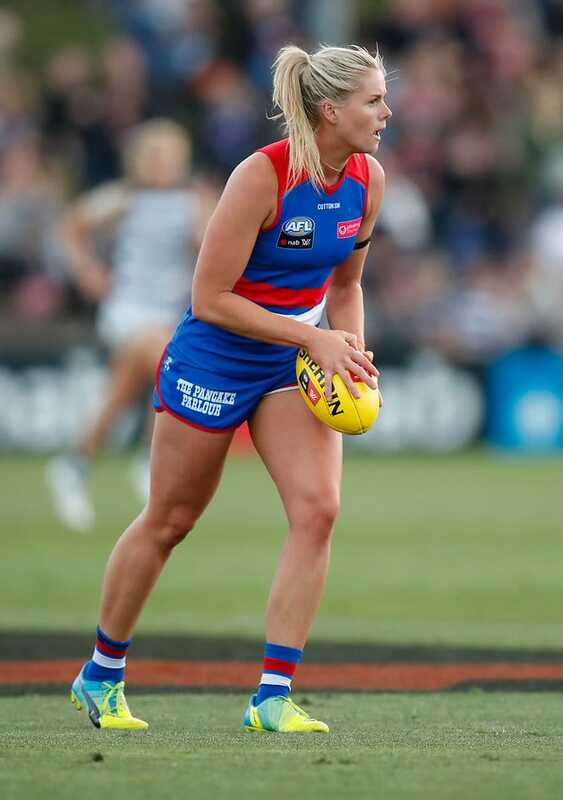 Brennan, who captained the Bulldogs for the first two seasons of the AFLW competition and was co-captain in 2019, leaves the Club after playing 13 games and kicking 15 goals. “Naturally we’re disappointed. Katie has been a foundation player of our women’s program, is a co-captain of our group and someone we have supported through some difficult periods, including injury and the tribunal process on the eve of our history-making AFLW Premiership,” said Bulldogs’ General Manager of Women’s Football, Debbie Lee. “While we do understand that the current period of the competition’s expansion means that player movement is now common, the nature of one-year AFLW player contracts has made list retention difficult. “As a successful team, naturally our players have become the target of opposition clubs, which is testament to our women’s football program. This includes our player development program which has provided rapid individual growth for our players over the past three years. “Katie has expressed her wish for a fresh start at another club, and we thank her for her contribution to the Club. “We look forward to securing our talented playing list and continuing to build on our strong environment where people can be at their best. Brennan said she was looking for a new challenge after spending seven years in the Bulldogs’ women’s football program. “I have been incredibly privileged to be a part of this pioneering club for the last seven years,” she said. “My decision to move on from the football club is based purely around my need for a fresh start.